A performance of Georg Philipp Telemann’s Don Quixote Suite by Meredith’s String Music Majors will precede the address with a Q&A and reception to follow. El Quixote Book – What is the big deal? 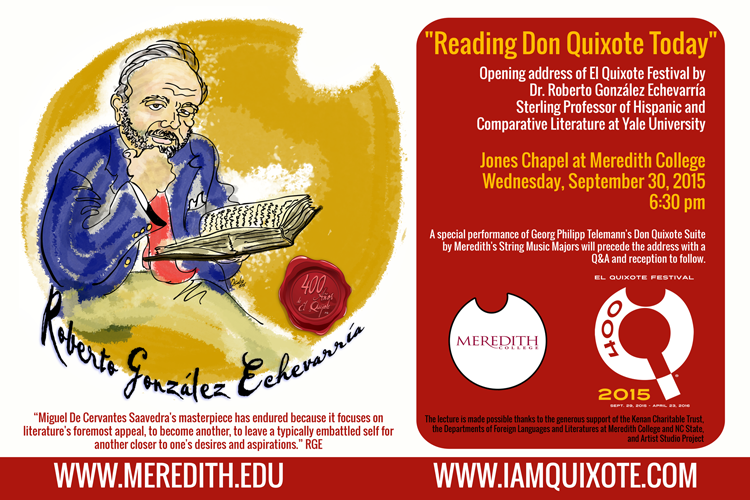 Reading Don Quixote Today – Opening address of El Quixote Festival, Dr. Roberto González Echevarría Jones Chapel, Meredith College Wed. Sep 30, 2015 6:30 pm. Please join us for a Q&A and reception following the address. 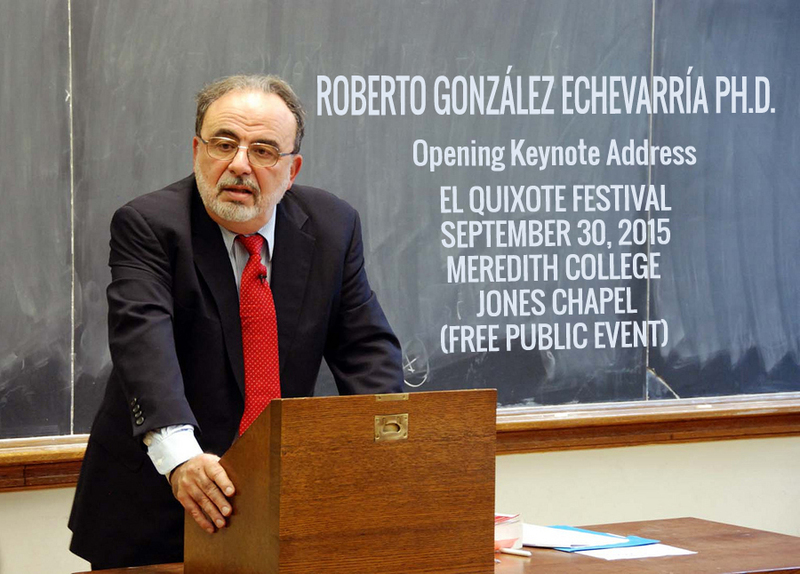 More info: Renowned Yale scholar to speak at Meredith College as part of statewide Quixote Festival Sterling Professor of Hispanic and Comparative Literature at Yale University, Roberto González Echevarría, will be giving a free public lecture on Wednesday, September 30, 2015, at Meredith College titled “Reading Don Quixote Today” as one of the events kicking off the seven-month long El Quixote Festival (iamquixote.com). 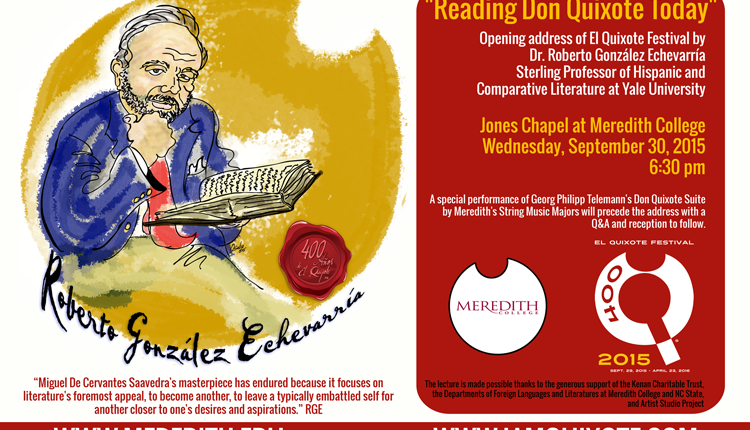 The lecture, which will be followed by a Q&A and reception with the speaker, will be at 6:30 pm in Jones Chapel. Miguel de Cervantes’s celebrated Spanish novel consists of two parts, published in 1605 and 1615,respectively. It was an instant success at the time and made the best-seller’s list in the United States as recently as ten years ago. Over the course of four centuries El Quijote has consistently rated as one of the greatest novels ever written. The dates of El Quixote Festival coincide with the birth (September 29) and death (April 23) of Cervantes (both he and Shakespeare share the same death date: April 23, 1616). 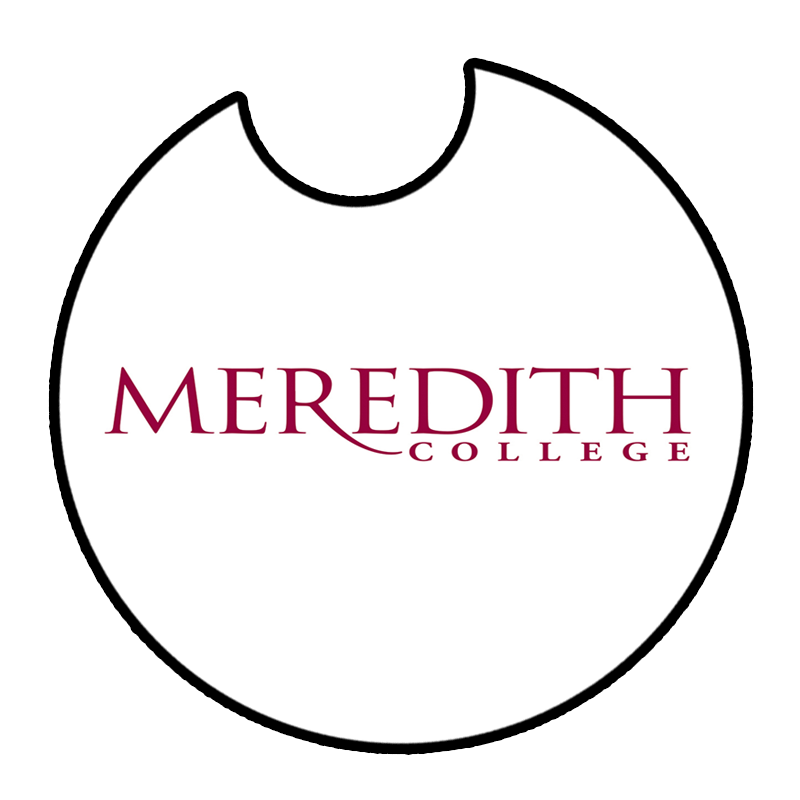 In celebration of the 400th anniversary of the novel and its author, the statwide festival will feature art exhibits, literary gatherings, opera, music, dance, theater, cinema, and gastronomy, together with several academic and educational events (events calendar)—including several at Meredith College.